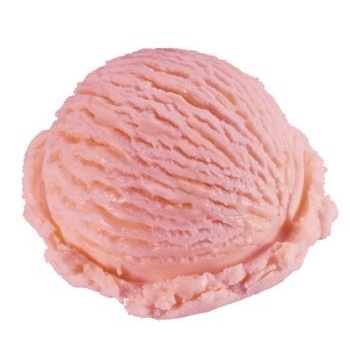 Cheerful Parve Strawberry Ice Cream is a sheer delight for a non dairy dessert! Ripest Strawberries are needed to produce the finest Strawberry tasting Ice Cream there is. A beautiful pink Ice Cream will enhance any meal. Ingredients: Water, sugar, corn sweeteners, vegetable fat, strawberry puree, maltodextrin, stabilizer, (cellulose gel and gum, soy protein, mono & diglycerides, dipotassium phosphate, salt) artificial flavor.